This high end kitchen design uses wood in a smart finish with white walls for the modern home where style is about a natural tone. 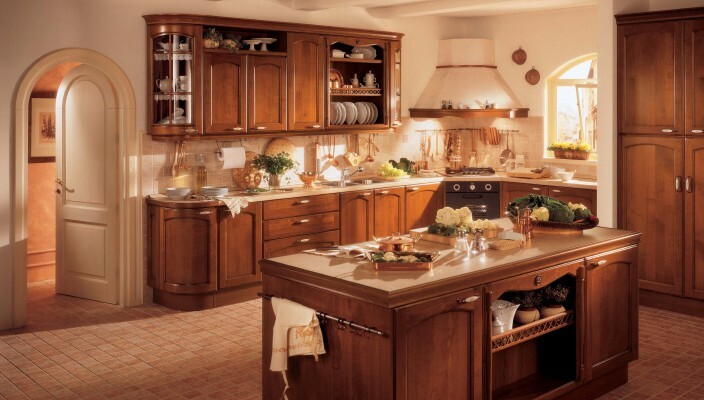 This is a stunning design for modern kitchen that is all about smart use of wood in a natural finish. While the floors are marbled in a similar color, the main attraction of this design is the wooden storage units that come in a dark finish. There are plenty of drawers, storage units and worktop, each designed in wood in a nice finish. The walls have been completed in a white finish for maximum designing contrast.